It might have been raining outside Dublin’s Mansion House on Friday 1 March, but nothing could dampen spirits inside the glorious Irish Dentistry Awards venue! It’s hard to believe that the awards are in their eighth year, and with every year that passes, it feels like they keep improving. 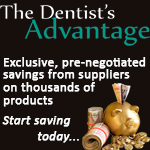 Special thanks go out to our partners – Bupa Dental Care, Grenke, Henry Schein Ireland, Pamex and Smiles Dental. 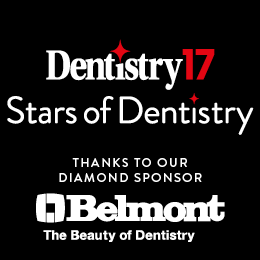 Without the invaluable support of our judging panel and partners, the Irish Dentistry Awards would not exist. We thank them for their commitment and helping to ensure that the Irish Dentistry Awards hold their place as the most prestigious and rigorous dental awards in Ireland. After a welcoming drinks reception, teams settled in for a night of celebration with a the lavish three-course meal before the ceremony got started. The evening saw a handful of winners taking home multiple awards, demonstrating the high calibre of entries this year. And with 16 categories to get through, the announcements came thick and fast once the ceremony got underway, hosted by judges Stuart Aherne and Guy Hiscott. 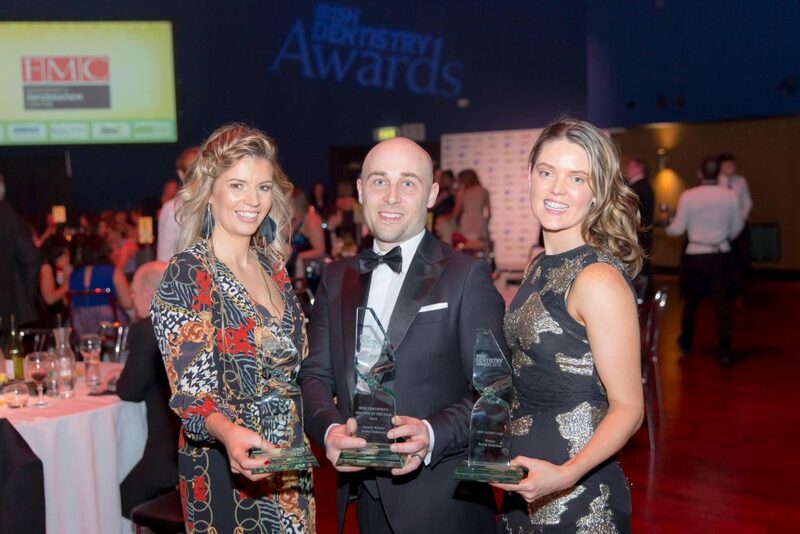 Smile Solutions kicked off proceedings, being revealed as the winner of Best New Practice, while Roisin O’Shea – the practice’s orthodontic therapist – was recognised as Most Invaluable Team Member. Dental Care Ireland Ashbourne walked away with Most Attractive Practice, while Bupa Dental Care Northern Ireland won Best Charity or Community Project. One of the biggest winners of the evening was Cotter Orthodontics in Killarney, taking home four awards: Most Improved Practice, Best Referral Practice, Best Employer and Practice of the Year – Leinster and Munster. In turn, Boyne Dental & Implant Clinic did the double, winning both Best High Technology Practice and Best Treatment of Nervous Patients. Kinsale Dental in Cork walked away as the Best Child Friendly Practice, while Best Team went to Harbour Dental Practice in Donaghadee. The biggest award of the night – Practice of the Year 2019 – was awarded to Dental Solutions in Eglinton, with Dr Ciaran Gillan heading up the team. The practice also took home Best Patient Care earlier in the evening. Irish Dentistry’s Rising Star award went to Dr Orla Clarke. Originally from Country Tyrone, Orla qualified as a dentist from the University of Manchester in 2012. After completing extensive training, she worked as a senior house officer in Derry and then Dublin. A member of the Faculty of Dental Surgery, Royal College of Surgeons, Edinburgh, Orla joined the Boyne Dental & Implant Clinic team in November 2016 as an associate dentist. She has a keen interest in children’s dentistry. Elsewhere, Derek Mulcahy was honoured with the Outstanding Contribution to Dentistry award, recognising his work as a dentist and teacher. Derek qualified in 1986 from University College Cork with honours, and went on to gain practical experience in general and cosmetic dentistry. He travelled the world before returning to Cork in 1994 where he raised a family and developed his practice. The practice, a primary, family-based clinic, has the motto ‘Patient comfort is paramount’. In addition to delivering high quality dentistry in a comfortable atmosphere, Derek also teaches dental students at University College Cork. With a love of all aspects of restorative dentistry, Derek is especially interested in cosmetic dentistry. To this end, he introduced orthodontics to his skill set and has had great success over the last 26 years. Derek continues to upgrade his knowledge and is now introducing implant surgery to his practice. 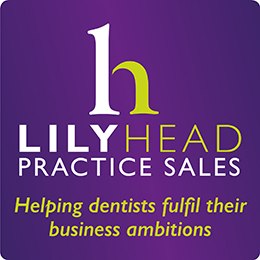 Throughout the year, Irish Dentistry will be speaking to this year’s winners to find out, amongst other things, the secrets to their success. Keep your eyes peeled! Our congratulations go to all the winners, highly commended practices and individuals and finalists. Watch this space for announcements on next year’s awards – where the bar has already been set extremely high! For more information about next year’s awards visit www.irishdentistryawards.com.